This morning was our last MOPS meeting until the fall. 😦 MOPS for those who are just now hearing this name for the first time stands for Mothers of Preschoolers. If you are a stay at home Mom, I urge you to look up MOPS groups in your area. It is a wonderful program for Mothers of preschoolers to engage with other moms and form new friendships and bonds with other Moms. Our MOPS group meets the first Monday of the month starting in September and ending in May. Our MOPS group offers a monthly meeting, a scheduled play date, somewhere fun, a moms night out, as well as a bible study each month. I joined MOPS a few years ago and met my best friends that I still have today. This group is perfect for new Mommies in town. During the monthly meetings MOPS offers MOPPETS for your preschool aged child 6 weeks-5 years of age. 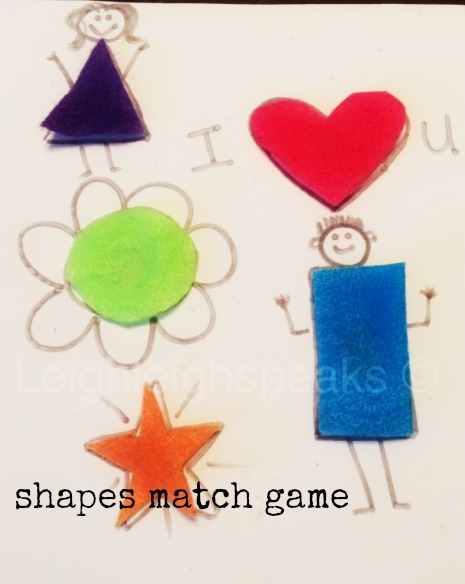 So while you are enjoying yummy food, crafting, fellowship, and awesome speakers who are speaking on Mother hood topics, your little(s) are busy making crafts, playing, and being loved on. Sister, you can breath and enjoy some time with out your little(s). Our MOPS monthly meetings are two hours long. 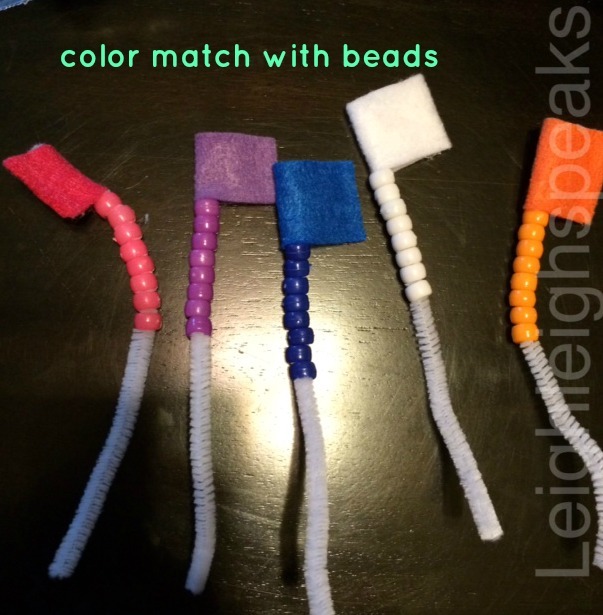 With the summer crazies quickly approaching, Our MOPS craft leader decided we needed to end with a little something to help keep boredom at bay, the TODDLER BUSY BAG! I wanted to share what I was busy making this morning. The ideas that you can come up with are unlimited. 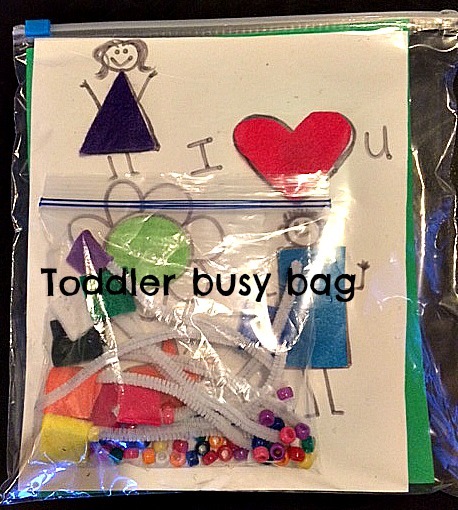 If you are a pinner then you will be able to just search toddler busy bag and I am sure a million examples will pop up. Here are some pictures of how mine turned out. 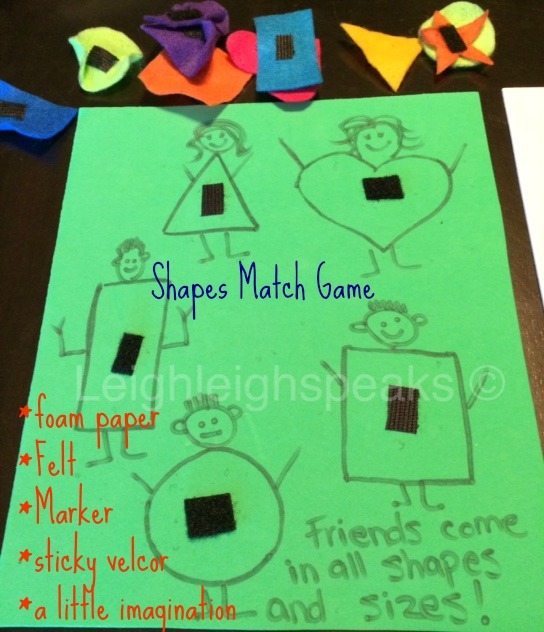 I made two shape matching games and a color bead sort. I brought these home to my two 4 year old daughters and they LOVED them.